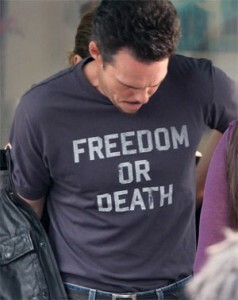 Kevin Dillon was spotted during filming the 5th season of Entourage at the Urth Caffe in West Hollywood on wearing a t-shirt Freedom or Death. The white “Freedom or Death” text is in a bold font that has a worn vintage appearance. 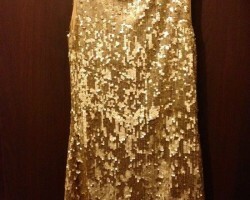 Johnny “Drama” Chase will be wearing this shirt during the 5th season that airs around September of this year. Plain Orange T-Shirts in Gym Class? ← Plain Orange T-Shirts in Gym Class?